Today’s Tool is Washi Tape! If you’ve checked out Pinterest or any craft blogs, you’ll notice a new syndrome that’s become very common. It’s called Washi Hoarding. This is how it starts… you’re in a craft store and you happen upon the Wall O’ Washi Tape. It all looks so pretty in those fabulously organized rows. You decide you’re going to buy one roll. Hmmm, but which one to get? There’s two you really like. Actually they are not that expensive. You could easily afford both. And maybe that other one over there too. Because it’s cute. And you like cute things. Besides, you deserve it. It’s been a looong week at work. Then you get home and add those seven rolls you just bought to your jar/bucket/vat that contains the rest of your “stash”. The buying of the washi tape is not the problem. Neither is the storing of it. The problem is when you decide you’re ready to use some but then waffle about whether or not you should because you might not have enough left for the next project. This is Washi Hoarding. Seriously! The roll has a gazillion yards of tape on it and you’re waffling over whether or not you can spare the 5” to go across the front of your card. Just use it! I promise you, washi tape is like bunnies. When you leave the room, your stash actually multiplies. You could make 2500 of those same cards using 5” of washi tape on each one and the roll will still look like you haven’t touched it. This stuff is amazing. As far as cost goes, it’s also one of the cheapest tools out there! 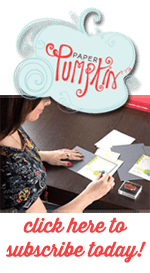 Add a border to your card/scrapbook page/craft project. Use it to hold your dies in place when running them through your Big Shot. Decorate your cabinets or mirrors. Fix a hem that came loose. Prevent wardrobe malfunctions (not guaranteed to actually prevent wardrobe malfunctions). Use it on that one kid. You know, the one that won’t stop talking (not guaranteed to actually prevent them from talking). Here is a quick idea on how to use it on a card. The vertical strip and the two horizontal strips are washi tape from the It’s My Party Washi Tape collection. 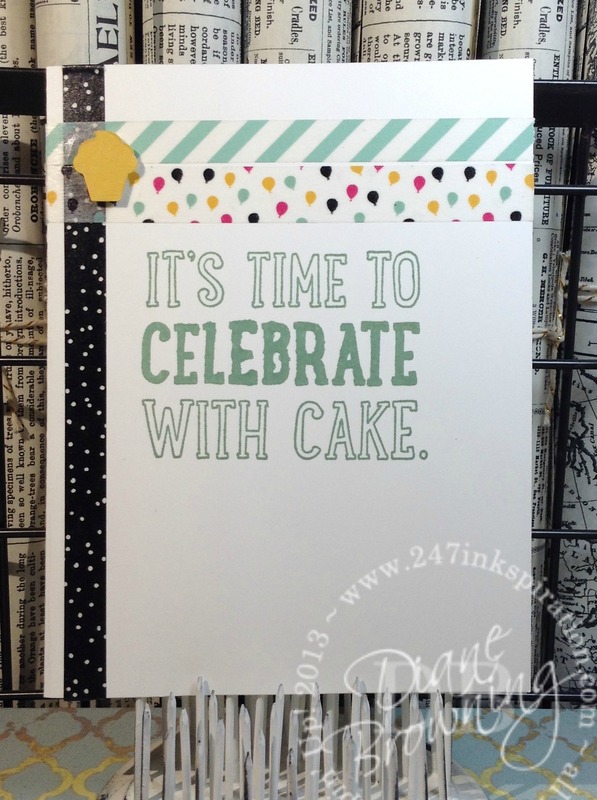 Add a large sentiment and you have a completed card! Just remember to stop hoarding and start using that washi tape. I promise it will last forever. Don’t forget that Sale-abration ends tomorrow! Oh no! Don’t worry, you can still get your order in. For every $50 you spend pretax and shipping, you get to pick one FREE Sale-abration item. Once Sale-abration is over, those items in that Flyer will no longer be available. Don’t miss out!